Nestled in the heart of the Horace Mann neighborhood this charming Bungalow awaits your personal touch. Boasting original architectural details like built in china cabinet, natural woodwork and hardwood floors, exuding a warmth and a comfortable tone throughout, all complimented by the new interior paint colors. The enclosed front porch could be the perfect play room, home office or mudroom. Retro kitchen with pantry and eating area radiate charm and character, a lovely canvas. Second floor hosts 3 freshly painted bedrooms and newly refinished hardwood floors. Home is currently heated by oil but does have a gas line, making converting to gas heat a breeze. The flat rear yard has plenty of space for recreation or gardening and the back deck is the perfect place to enjoy morning coffee or summer evenings under the stars. 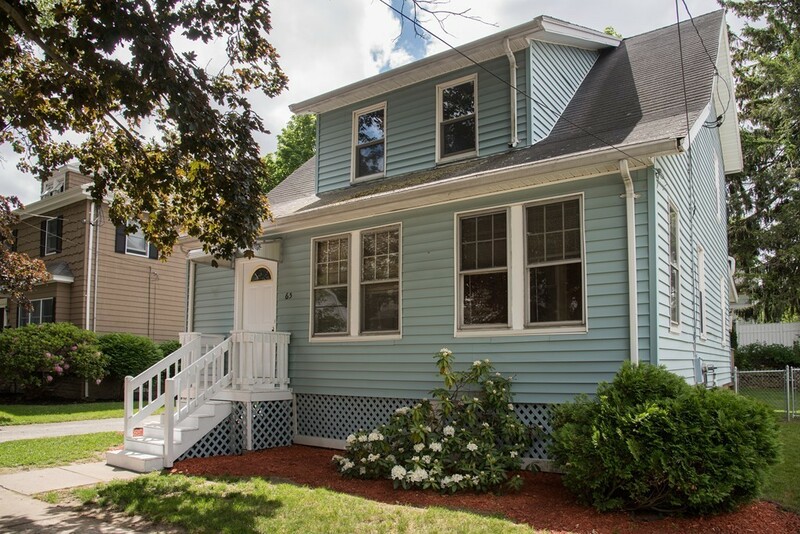 Hard to find two car garage & stellar location, walking distance to Whole Foods Plaza, commuter rail or bus, parks and more, this well priced home is a must see!